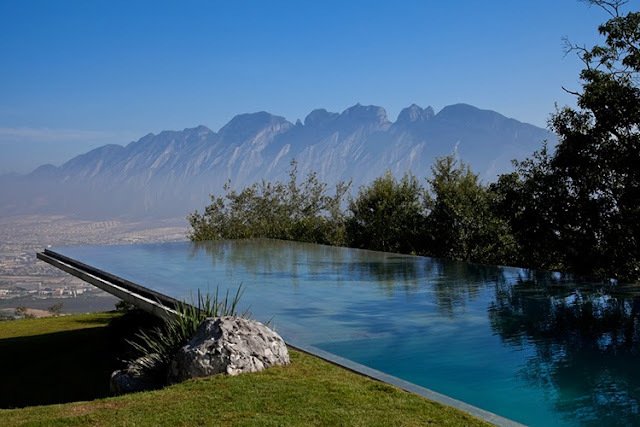 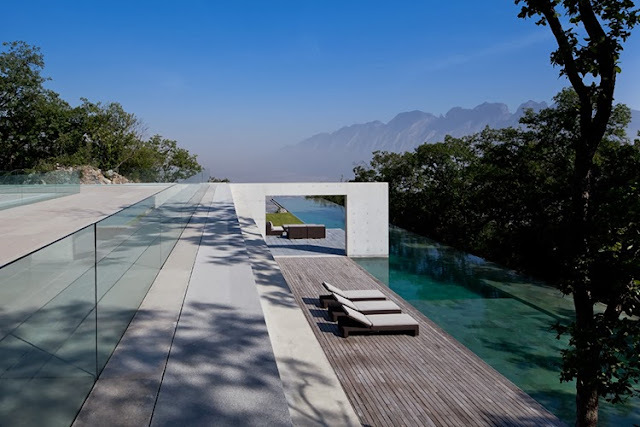 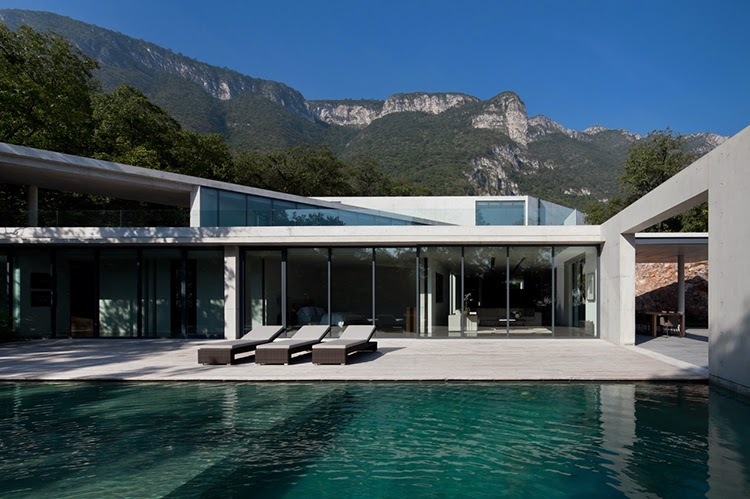 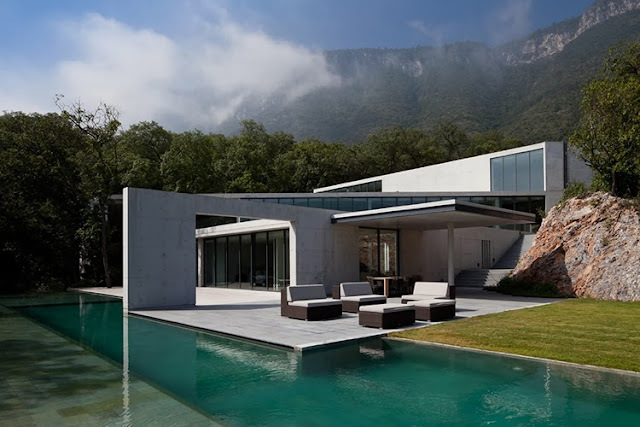 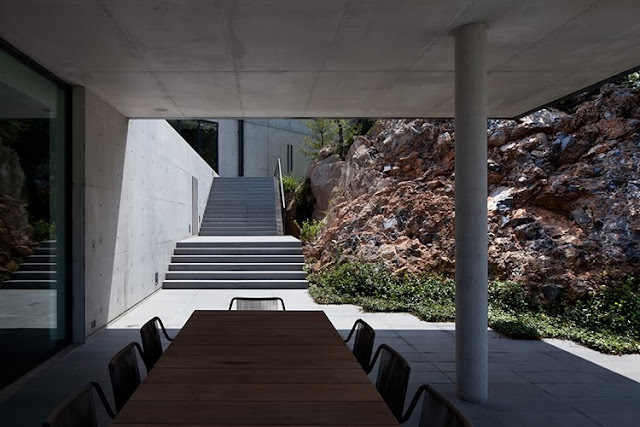 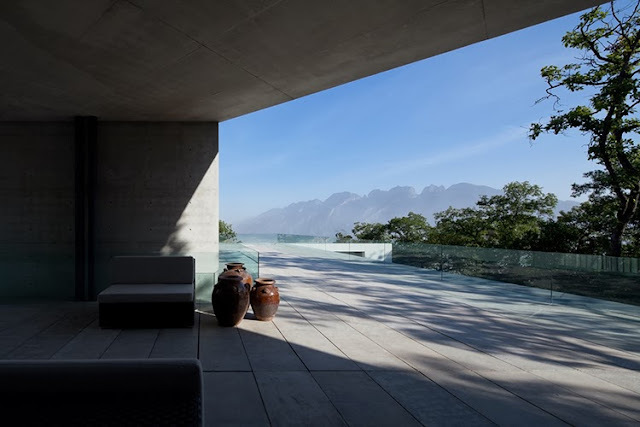 This family house in Monterrey, Mexico, completed in 2011, is one of the latest residential works of Japanese architect and Pritzker Laureate Tadao Ando. 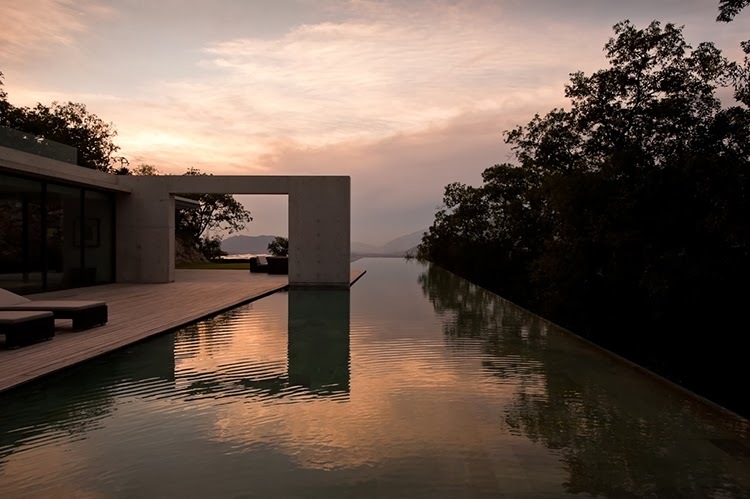 Amazing photography by Shigeo Ogawa Studio reveal the responsive architecture of the pure concrete building with clean lines towards its landscape, a true paradise on earth. The house is built on the edge of a cliff, emerging from a wooded hillside overlooking downtown Monterrey. 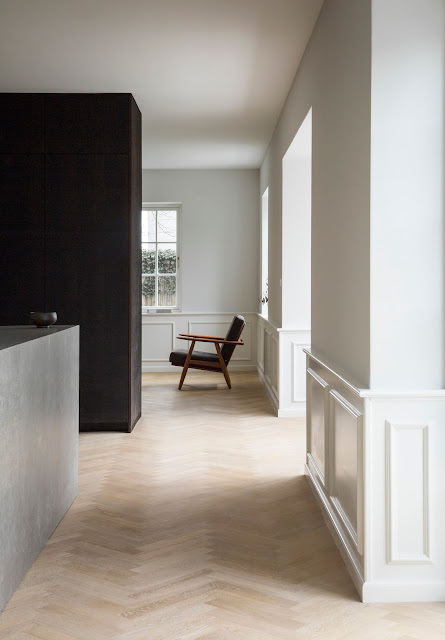 The poetic use of natural elements, materials and light is present everywhere. 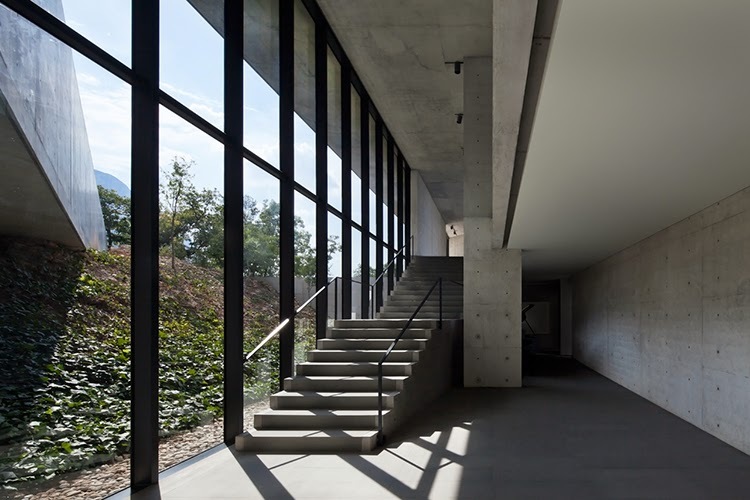 More of the photography set here.